Robert P. Yagelski directs the Program in Writing and Critical Inquiry, which was established in 2013 as part of UAlbany's new General Education program. He is also Professor of English Education in the Department of Educational Theory and Practice and an affiliated faculty member of the Department of English. In addition to teaching UUNI 110 (Seminar in Writing and Critical Inquiry), he teaches in the doctoral program in curriculum and instruction and the graduate program in secondary teacher certification and works with students in the doctoral program in English. He has taught courses in writing, composition theory and pedagogy, critical pedagogy, qualitative research methods, and the history of rhetoric. He has also served as associate dean for academic affairs of the School of Education. Professor Yagelski served as director of the Capital District Writing Project, a site of the National Writing Project, from 2003 to 2017. Through CDWP he has worked extensively with K-12 teachers to help improve writing instruction at all levels of schooling. 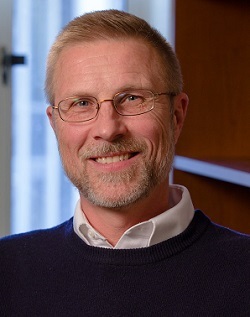 Previously, he directed the Writing Center at UAlbany, co-directed the English Education program at Purdue University, and chaired the English Department at Vermont Academy, an independent high school. Professor Yagelski's recent research focuses on understanding the ontological dimensions of writing and the transformative capacity of writing. He has also studied formal error in the writing of adolescent students and the analytical strategies college students employ in their writing. Previously, he explored literacy as a social activity and writing as a technology and examined revision in student writing. 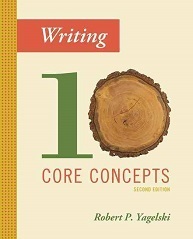 Professor Yagelski is the author of Writing as a Way of Being: Writing Instruction, Nonduality, and the Crisis of Sustainability (Hampton Press, 2011), Literacy Matters: Writing and Reading the Social Self (Teachers College Press, 2000), and numerous articles and essays about teaching writing that have appeared in College Composition and Communication, Research in the Teaching of English, English Education, the Journal of Teaching Writing, and Radical Teacher, among others. He is also author of several writing textbooks, including Writing: Ten Core Concepts, 2nd edition (Cengage, 2018), Reading Our World, 2nd edition (Wadsworth/Cengage, 2009) and (with Robert K. Miller) The Informed Argument, 8th edition (Wadsworth, 2011). He is co-editor (with Scott Leonard) of The Relevance of English: Teaching That Matters in Students' Lives (NCTE, 2002) and author of The Day the Lifting Bridge Stuck (Bradbury Press, 1992), a children's book. He earned his Ph.D. in Rhetoric and Composition from the Ohio State University. This site last updated 16 May 2018.